Dental sedation is perfectly safe for children. Here’s how it works, and some details about safety precautions parents can take to make the process go more smoothly. Why is my dentist recommending sedation for my child? Dentists will often recommend sedation for children if they are going to undergo long, complex procedures, if they are extremely young, or especially nervous about visiting the dentist. In addition, dental sedation can be beneficial for children with special needs, as it can help them get the dental treatment they need, treatment that might otherwise be extremely stressful or even impossible. The primary types of sedation most commonly used for children are the same as the ones used for adults: oral sedation, nitrous oxide and intravenous sedation. Oral sedation is taken by orally or through the nose when the patient arrives for the appointment. The medicine usually takes up to 20 minutes to take effect. Oral sedation doesn't make patients fall asleep, it just helps them to relax and feel calm. Nitrous oxide, otherwise known as laughing gas, can also helps children remain calm during dental treatment. It is delivered via a mask, and within a few minutes, the patient begins to feel relaxed and experience euphoric feelings. At the end of the procedure, pure oxygen is administered to the patient to clear out any remaining nitrous oxide. Intravenous sedation is delivered via a needle. Nitrous oxide will put the child to sleep before a needle is inserted, usually into a vein on the back of the hand. A tube is also inserted into the patient's throat to aid breathing. Children whose parents understand what is happening and who prepare the child ahead of time tend to tolerate sedation dental procedures best. 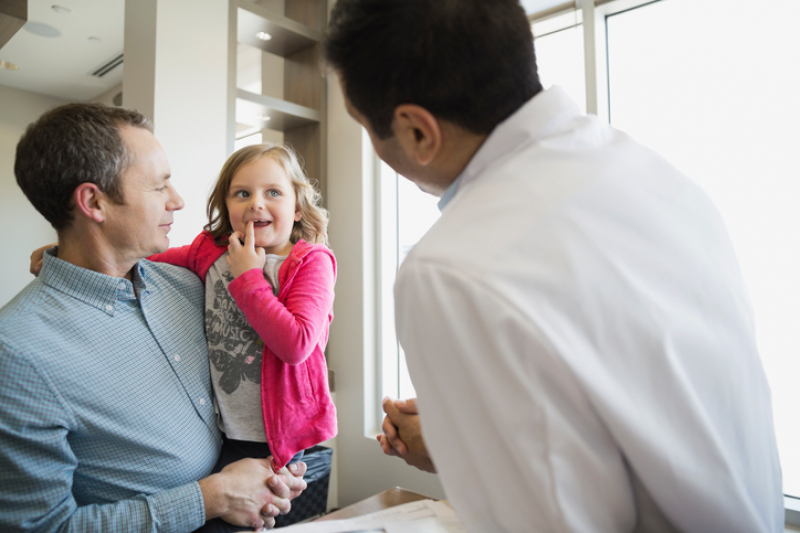 Your Delta dentists at Scot72 Dental Centre will give you detailed instructions on how to prepare your child ahead of the appointment, and will be happy to answer all your questions. The instructions will include things like when your child should stop eating ahead of the appointment, and what type of clothing should be worn for the appointment. You will also be asked to provide a full medical history for your child, and tell the dentist if they are receiving any prescriptions, over-the-counter medication or herbal supplements. 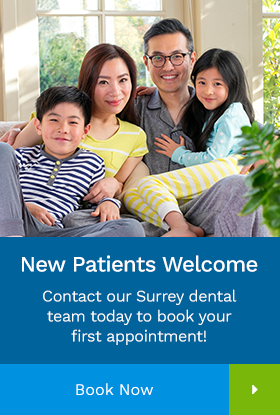 Ensuring patients' safety is paramount for our Surrey dentists during dental sedation. Throughout the procedure, the patient's blood pressure, blood oxygen level, heart rate and temperature will be closely monitored. Two adults should accompany the child or teen home after the appointment — one to drive, and the other to monitor their breathing. Since some of the longer-lasting aftereffects of sedation include loss of physical coordination, sleepiness, dizziness, and nausea, going back to school or daycare on the day of the appointment is definitely not an option. For the first few hours after the procedure, parents should give the child only soft foods. When the mouth has healed, the child may continue caring for his teeth as normal. At Elgin Corners Dental in Surrey, dental sedation is a safe and stress-free procedure. Our dentists carefully prepare for your child’s appointment and make sure they get proper care after it's over. Contact us today to book a consultation.